The quality of water in your home is one of the most crucial aspects for the well-being of the entire household. in order to ensure a high quality of water supply is the installation of water softeners. This website will provide a great guidance towards choosing the most suitable softener for any purpose, whether commercial or personal, by rich analysis of each highly rated water softener. In order to find the most powerful and most efficient water softener system to integrate into your commercial or personal property, the ratings, performance and quality of water softener models need to be compared. This question will be easily addresses after the reading of this article, which provides all vital information for this decision-making. Tables below provide a high-level overview on top water softeners models covered in this article in order to provide a brief summary on comparison statistics of each water softening system. 14" x 17" x 33" brine tank 19" x 15" x 26" 21" x 9.5" x 9" 14" x 5" x 23"
Size 12"x48" tank 18.2" x 13.2" x 48" 45" x 10" x 20" 8" x 29"
5600SXT is one of the most popular Fleck’s model and gained multiple positive feedback reviews from its users. 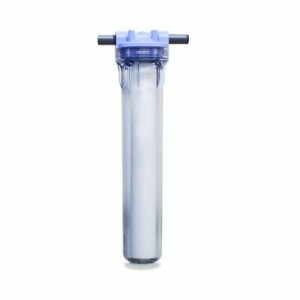 This is a grain, salt-based water softener, primarily focused on softening the hard water throughout the entire water system of a household. This model is produced by a well-known brand, Fleck, and has achieved the highest overall rank among top water softeners market. At the same time, the water softening system prevents the scale aggregation. It extends the working life of plumbing and water appliances installations due to a concentration of both magnesium and calcium ions in the system. In addition, the system gives a user a control over the regeneration process via a digital on-demand control valve. For a more economical water use, the best option is to set up the regeneration process on-demand basis; and if the water usage increases, Fleck system will regenerate more often to meet the water demand of a household. The tank of this model comes with a 10-year warranty and is made from the durable polyglass. typical brine tank is also included, which can hold up to 250 pound volume of pelleted salt. 5600SXT model is equipped with a safety float to prevent the safety issues such as overflow and overfilling of the drain. Use of this water softener model will benefit the most when shared for minimum 3 to 6 people maximum. 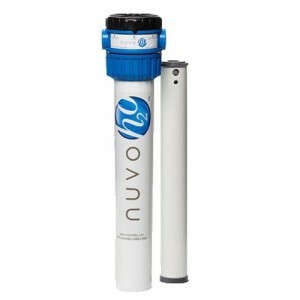 Nuvo H20 Manor is a leading salt-free water system presently available in the market. It is featured with a chelation process system that lowers the concentration of pH level of water. The process of water conditioning is 100% eco-friendly and it substantially reduces the issues brought by hard water where hard minerals become incapable to cling to pipes and appliances since they remain soluble. In addition to water softening function, Nuvo H20 removes corrosion and avoids water build up throughout all appliances and plumbing system. Being manufactured to hold the capacity of 60,000 gallons , the water softener is still very compact in its size and very lightweight. Use of this water softener model will benefit the most when shared for at least 6 people and/or for homes of ≥2,000 square feet area. 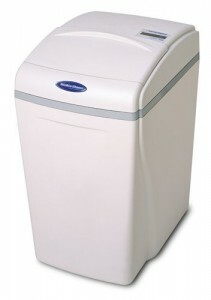 This model is known as Watts RV PRO-1000 or M7002 Portable Water Softener. Due to its compact size, extreme lightweight, fast performance and easy installation, M7002 has been ranked as top portable water softener and has been named a travellers’ choice. Whether camping or having a mobile home, the RV PRO-1000 will provide the best solution to softening the hard water from whatever the place you will get the supply. To make this portable product more reliable for mobile lifestyle proponents, Watts produced this system to be run on table salt, which eliminates the need to carry bags of salt mixture used specifically for water softeners. Complete regeneration process consumes approximately 2 pounds of salt and the restart process lasts for about 20 minutes. Even more, to see the difference before and after the softening process was made, M7002 package includes testing strips that measure the extent of system water softening. WaterBoss sells their 220 model with a full purchase kit that includes all necessities for their water softening system. Due to its compact design, 220 model can fit in the tight spaces of your house and system’s manual clearly navigates an easy installation process of the product. Despite relatively small dimensions, system performs both water softening and filtering to a household of 4 people maximum. In addition, the 220 model is very efficient as it fits 22,000 grain capacity and softens up to 70 grains per gallon. It is designed with fast regeneration technology and runs the regeneration process cycle for 18 minutes when is set to a 2.5 salt option. Such a short regeneration time also allows to use smaller amounts water. Overall, WaterBoss 220 provides healthy soft water by filtering things such as sediment, dirt, and other solid residues down to 20 nominal microns and reduces ferrous iron to 10 PPM (parts per million). Morton Salt MSD34C water softener system is unique due to having an integrated mineral tank and brine tanks into a single piece. As a result, it saves space and cost-effective as it cuts system’s salt consumption by 50% when compared to the other systems. Still, it is powerful enough to provide water conditioning for a household of up to 5 people. Water softening occurs when water is going through a special chamber filled with tiny resin beads. The process consists of exchanging soft water ions (i.e. sodium) with hard water ions (i.e. magnesium and calcium ions) that we do not need, an ion exchange technology. The capacity of Morton Salt MSD34C system is 34,000 grain, meaning that , if the household has more than 4-5 adults, it would be more reasonable to go with bigger capacity model of water softener. In the case Morton Salt MSD34C fits your needs, it is important to mention that this unit comes with the package that includes a complete spectre of tool that are required for installation (including installation guide), which makes the installation process very easy. An additional special feature of this model is so-called “Look Ahead” system saver technology. It saves water by regenerating only when necessary, and it “decides” to do so by learning the “general patterns” of water usage in your specific household. 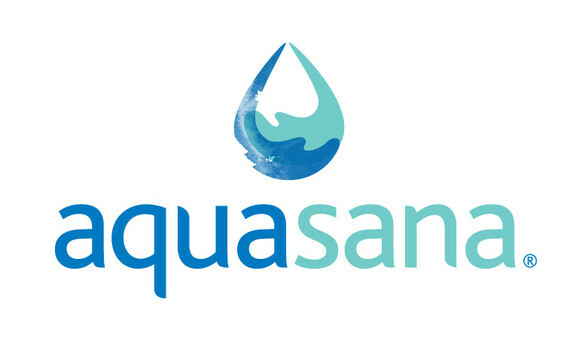 Aquasana is a conspicuous brand that produces water softening systems and shower filters for a wide range of living and commercial spaces. The EQ-SS20 model uses the cutting-edge SLOW PHOS technology, which is salt-free system that removes corrosion from plumbing fixtures without resorting to sodium. It also contributes to natural water conditioning in eco-friendly way, making it one of the best water softening systems around. A salt- and sodium-free system like EQ-SS20 won’t demineralize your water and will protect the surrounding environment. 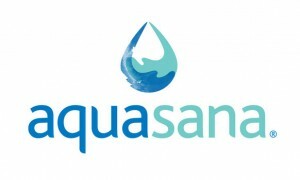 Aquasana’s water softening technology disables hard minerals to lump together, thus preventing a scale. This feature is achieved by changing the ionic charge of hard minerals and keeping them separate from each other in the water. Aquasana EQ-SS20 has received numerous positive ranks and feedbacks from our users due to its highly-satisfying performance level and a low price. Iron Pro 2 softens hard water by removing manganese and ferrous iron water’s compound and eliminates the aggregation of scale throughout entire water system. This model uses meter-based regeneration only when necessary. Whether the water consumption is increased or decreased, the system will eventually adjust accordingly to those changes to save water usage. Iron Pro 2 is built on 5600 valve that is able to process up to 16 GPM and features a long-lasting resin, formed from the fine mesh to ensure better water filtering..
Iron Pro 2 is equipped with the Fleck 5600SXT digital controller that comes with touchpad controls, 48 internal power backup, and a great backlit LCD display to provide a user-friendly interface. Green Wave Cascade 15 GPM is also known by customers as ‘Water Softener Alternative’. This is one of the most advanced water softener alternative systems that is salt free, does not consume electricity or chemicals – still provides good-quality water softening and prevents the aggregation of scale. The average RRP for this model is higher than average and more pricey compared to a number of other systems. However, the higher price is offset with multiple additional features, such as no need in backwashing filter or drain, which makes the installation process of a system almost effortless. As Green Wave Cascade requires no salt or resin replacement, system’s maintenance is also effortless. 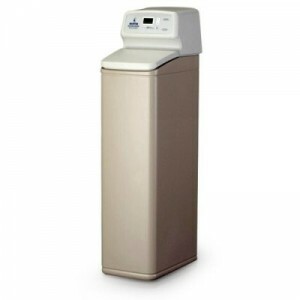 This model is a perfect choice for a water softener seekers. Eddy water descaler l can be said to be the best budget saving alternative to convenient water softening systems. Its system is also eco-friendly, however does not provide as efficient and effective results as full-fledge water softeners. With these regards, Eddy water descaler will be the most efficient in water softening only under the condition when the water in a household or other commercial or living building is moderate-hard. In this system there are two coils mounted around the water pipes where electromagnetic waves are applied through those in order to break down the scaling by diminishing the effect of hard mineral (magnesium/calcium) ions in the water. As it cannot be accounted for a full-fledged water softener, the chemical hardness of water is not altered -system affects the reduction of hard minerals in water consumption, which effectively removes the scaling inside water pipes. Eddy water descaler system is mainly popular for its budget-friendly price and avoidance of any product’s maintenance. The overall installation process is simple and does not require plumbing. The video below is very helpful in understanding main principles of water softening process. According to the latest facts , the daily usage of hard water results in a number of side effects, such as rough clothes, dehydrated skin, dry hair, etc. First and possibly the most important step in selecting the best water softener for yourself is to contemplate a number of people that water softening system will serve on daily basis (that usually depends on your family size). There is no need to spend unnecessary extra money on a unit that is more powerful than necessary. However, it should also be powerful enough to cover the water needs of every person in a household. Other aspect to consider is a free space you are able to devote to the installation of water softening system. Otherwise, the decision to buy a high capacity and powerful water softener will become senseless if the system will not fit into the apartment’s area. It is essential to gain some knowledge about the components of hard water and its hardness level in order to determine which water softener system is the most suitable for you. Some water softening systems may require less hard water to work with than the others. “Hard water” is the water filled with hard minerals such as magnesium, calcium, etc., which are absorbed while passing underground soils and rocks. Damage of clothes’ fabric leading to clothes wear out in a short period of time. Water softener helps to remove these hard minerals or, at least, minimise their damageable effects. The main parameter of water softeners’ comparison is the capacity of grain removal. Most of their water filtering systems operate using additional substances such as salt, or, more rarely, potassium chloride. There are also some models that do not require the use of salt, using alternative means to deactivate the hard minerals in the water. The following section lists the top rated and the most popular producers of water softener systems among our users. The selection process was made on the basis of brands to provide consistency and reliability of their products as well as ease of aftersales maintenance. Aquasia is a widely known brand that produces water softeners and other products for water cleaning and environment improvement. THe range of products is wide and covers the manufacturing from minor products such as faucet filters, and shower head filters to a massive whole-house water softening systems. Aquasana has been on the market for a many years, focusing on engineering softening products and water filtration, keeping of the issues of environment in mind by including reusable parts in products’ production to achieve a minimum possible waste rate. Culligan retailer is a pioneer of the water treatment industry and has been presented on the market for around 70 years. 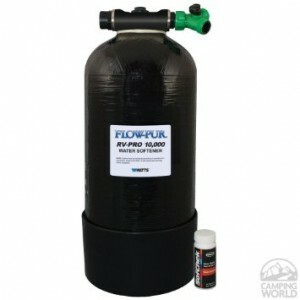 The name of this reputable brand is trusted by the customers, and it offers a wide variety of water treatment products. Fleck is one of the oldest water treatment brands on the market. It has a leading position among the production of control valves, water softeners and filtration applications. 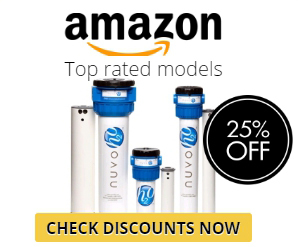 It has been a trailblazer in implementing advanced technologies in the field of water softeners for over 50 years and consistently remains the most approved and critically acclaimed brand of water softeners, boasting the highest Amazon ratings and the best customer reviews. 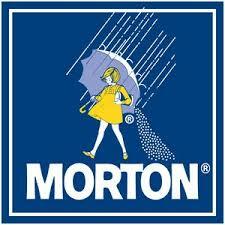 Morton is a horizontally integrated company with the main focus on salt production its production was launched over 160 years ago and currently, Morton’s line of products features water and air softeners. Several of their units have received high ranks from the buyers, resulting in many positive reviews being posted in multiple web resources. Waterboss has develo ped its reputation by offering a high range of good quality water softeners for a fairly long time. An essential feature of their water softening systems is the ability to reduce water wastage, which allows Waterboss water softeners to use less amount of water in comparison to softeners issues by their rivals. Why Water Softening is needed? Water that runs in your home may absorb and bring to you some unnecessary hard minerals, which typically include calcium and magnesium. These minerals are absorbed from the ground and tend to bring many disadvantages and vain efforts if you decide to refuse from the installation of water softener and continue using such water. For example, hard water is likely to cause a poor lathering of dishwashing detergents and soaps or the appearance of white incrustation . Also, the incrustation and residue that are found in home appliances and pipes negatively affect human organisms, diminishing clothes’ lifetime by damaging their look and a quality of fabric as well as causes the appearance of hair scurf. The ion exchange process is able to facilitate the elimination of water’s hard minerals. Water softener is a home appliance that will soften and filter (depending on the model) the hard water and secure your healthy lifestyle. Most of these appliances consist from the so-called brine tank and water tank (two tanks in total). Resin beads, included in one of the tanks, trigger an ion exchange process in the flowing water. The opposite electrical charge of magnesium and calcium (which is found on beads) forces hard minerals to exchange with soft minerals. Usually, soft minerals such as sodium or potassium chloride are required to be added them to the water softener on regular basis to perform a regeneration process. The general definition of ‘hard water’ implies H20 consumption with high levels of dissolved minerals. An interesting aspect to underline is that when rain falls onto the ground, the rainwater is naturally soft. Consequently, a question arises of what causes this transformation? The key answer lies behind the process of rainwater going through the ground layers of underground rocks and sand by absorbing calcium, magnesium, chalk, lime and other minerals. As a result, structurally enriched with various minerals water reaches every household via the public water system and it is no wonder that hard water is a widespread problem. In fact, more than 85% of all households face this problem ) across the country. Some people would be surprised why this situation has been regarded as a “problem”. Some people simply don’t want to soften their water as it is not always suitable for drinking. Softened water also usually has a salty taste. Hard water, on the other hand, has a nice flavour and provides certain health benefits as it allows you to support your body by supplying the essential minerals. This fact may contradict to earlier statement of water softeners’ necessity. However, it is rather easy to spot the main distinction between hard water and soft water in the process of your household chores. You will notice that hard water tends to leave spots and residue on dishes and dishwasher, bathtubs and faucets. It also covers the inner surfaces of appliances, cause a higher energy consumption and wearing down faster. The clothes that were washed in hard water don’t let soap lather well and still keep a dirty look even after the washing. It is crucial to measure water hardness level. This can be done in two different units: grains per gallon of water (GPG) or parts per million (PPM). The hardness of water between 3.5 and 10.5 is common for most US households, and when the measure is below 3.5 GPG, you are not even likely to notice hard water’s negative effects. Before considering the need to obtain a water softener, a water test is required to find whether there is any problem with the hardness level of water in place you want to install the softening system. There are test kits available to purchase to general public in stores or online (e.g. Amazon) that will provide a full list of contaminants that present in the water you use. There is also an option to perform the water testing at home using simple tools available in each household. However, the danger of this method is that it may not provide precise results as the specialised kit will. For a test using home tools, you will need a bit of liquid soap and a simple plastic bottle. Firstly, fill a small plastic bottle halfway with water to be tested. Then add several drops of liquid soap to this water, screw the bottle cap shut and shake the bottle. If you have a soft water, then by removing the cap you will witness that the water full of soap thuds. If not, water will stay almost clean and the soap will be gathered into a soapy film on top of water’s surface. Once you identified that your water is hard, there is the need to examine a hardness value. This is where DIY test kit comes into play – once you buy it you can determine the actual hardness value. The detailed analysis provided by these kits are useful when it comes to finding out the exact issues with your water (unless already known). After the water will be tested on the presence of all contaminants, a choice of the water treatment will become simpler and clearer. 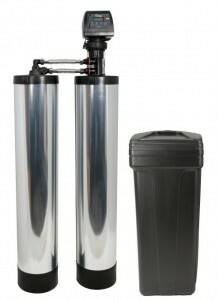 It may be the case that you need a water purifier instead of water softener. Traditional water softeners are the most widespread within a market. Conventional systems process hard mater through either sodium or potassium chloride. Choosing between these two substances is more to individual’s preferences (since each method has its own advantages and disadvantages). However, the majority of people tend to obtain sodium chloride-based water softeners. There are 3 types* of water softeners available in the market currently: salt-free, magnetic and electronic. *It is important to point out the fact that even though all water softening systems have a great performance and considerably improve the quality of water, they perform only partial deactivation of hard minerals without expelling them from the water. Salt-free water softeners use template assisted crystallization (TAC) for changing the composition of hard minerals. As a result, the minerals stop sticking to each other and don’t adhere to the pipes. Such systems mainly perform water de-scaling and conditioning, not real water softening although producers sometimes refer them as water softeners. This type of water softening system prevents clogging in appliances and pipes. Electronic water softeners work in a similar way to salt-free type. They do not remove hard minerals and the water is not softened per se, but they charge hard mineral ions via wires wrapped around the water pipes. This process is constraint to only preventing hard minerals from adhering to plumbing fixtures like pipes. Magnetic water softeners are an additional way of disrupting the charge of ions from the hard minerals. Instead of wires, magnetic water softener has strong magnets connected to the pipes. The work of system is still identical to electronic water softeners. Consequently, the result is the prevention of clogging in plumbing fixtures. All water softeners included in our article are the whole house systems that produce softened water for kitchen, shower, and other water supplies throughout the house. If you are currently searching for a way to protect only some of your appliances from scale buildup, there are more specialized systems available for these purposes. For example, reverse osmosis water filters can be used for particular taps (this purifies the water and reduces salt level in it), and inline water filters can be also used for certain appliances. In any case, our water softener reviews are based on full-scale market research of this industry, taking into consideration all brands and models, their features, user reviews and ratings. A crucial role in this research belongs to the customers who have purchased these products since their reviews considerably affect the assessment. 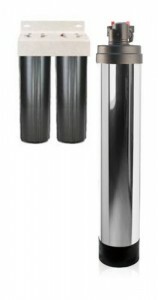 A separate mention also devotes to ‘On the Go’ portable water softeners, the performance of which is about on the same level with top rated water softeners reviewed on our page. It is not only practical and effective, but it also does not require special installation, so you can use it in your RV without any extra difficulties. We sincerely hope that you will be able to select the most fitting water softener for your home meeting your needs and your price range with the help of information provided in our water softener reviews.